Kit includes 10 AssetTag Max holders, 10 inserts and 1 pen. 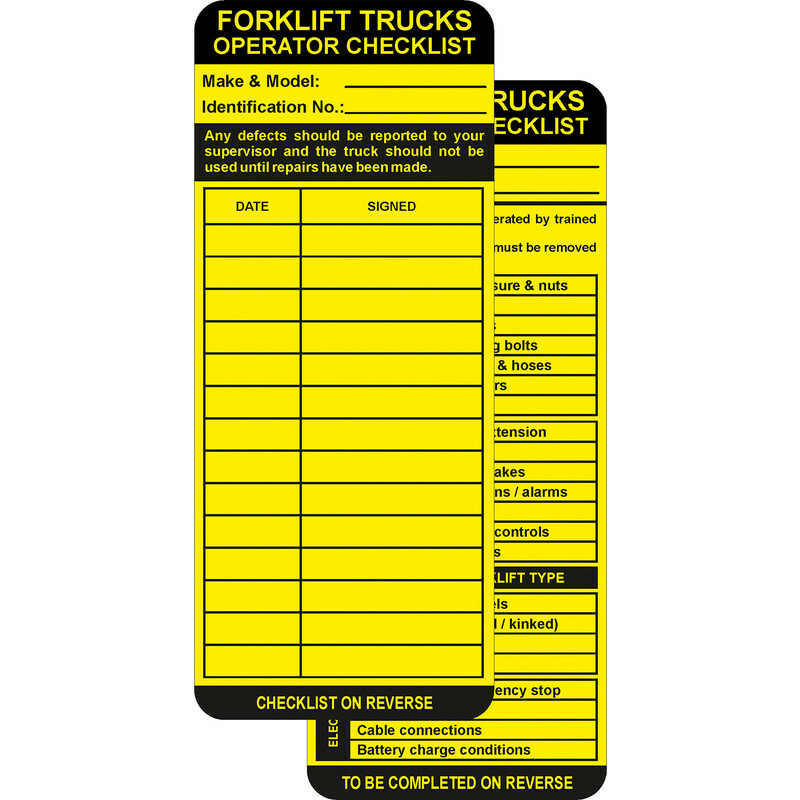 An employer must ensure that a forklift is safe to use and that they are checked by a competent person prior to use for any damage, faults or wear. The AssetTag Max Holder should be permanently fixed at the point of access to the forklift. The insert details a list of checks to be carried out and the record is then to be completed. If it is unsafe the insert should be removed and a supervisor immediately informed.